This is so pretty and delicate looking, isn't it? 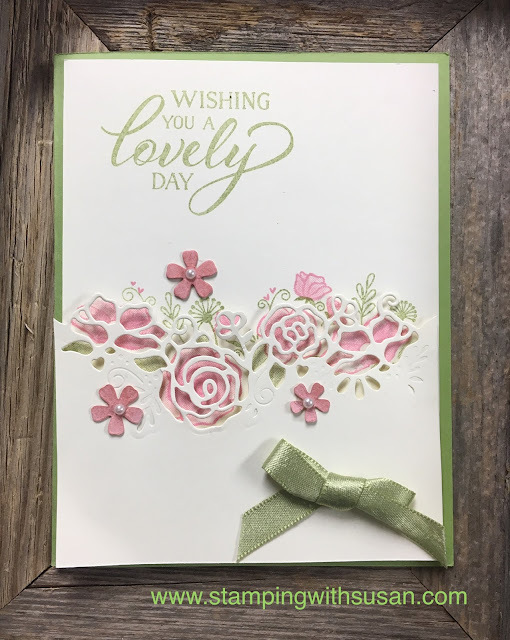 The edgelit lines up with the stamped flowers underneath for some great texture and dimension. I added a couple of flowers around it to add a bit more. This card was made using product from the All My Love Suite. 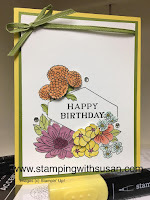 I didn't want to make a Valentine's Day card, I wanted something that could be used for Birthday's and other occasions. I might use this card for Mother's Day. It sure reminds me of her.